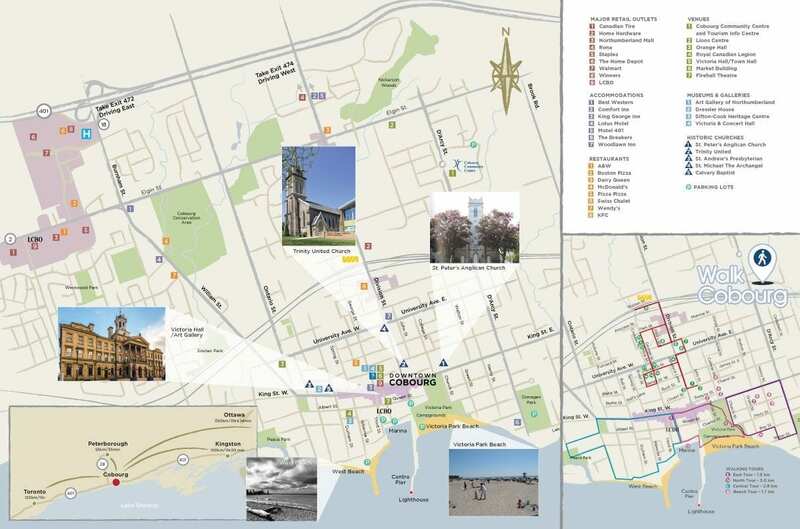 Take a walking tour through Downtown Cobourg. There’s lots to see and do along the way and we can all use a bit of fresh air. Parking is available at Peace Park, the Waterfront (Esplanade), on street at the bottom of Church Street and at Donegan Park, just look for the signs. In case of emergencies, there are three locations of Automated External Defibrillators (AED) and are indicated at the Library, Victoria Hall and what looks like the YMCA Pool office.